Guam's strategic location just 1,500 miles South of Japan's shores make the tiny island a very valuable piece of real estate for the US military and a very enticing target for Pyongyang's missile program. To make sure that Kim Jong Un doesn't get any funny ideas, Congress wants to arm Guam with our version of the Iron Dome. Known as the Terminal High Altitude Area Defense (THAAD) system, this Lockheed and Raytheon-built missile shield is designed to to shoot down short-, medium-, and intermediate-range ballistic missiles in their terminal phase, just as they cross back into the planet's atmosphere. But unlike the Israeli's Arrow III missile shield, THAAD employs only kinetic energy, not an explosive warhead, to disable incoming threats while minimizing the spread of whatever they were carrying. Each $800 million THAAD system comprises five integrated subsystems: launchers, interceptors, a radar, THAAD fire control and communications (TFCC) units, and THAAD-specific support equipment. 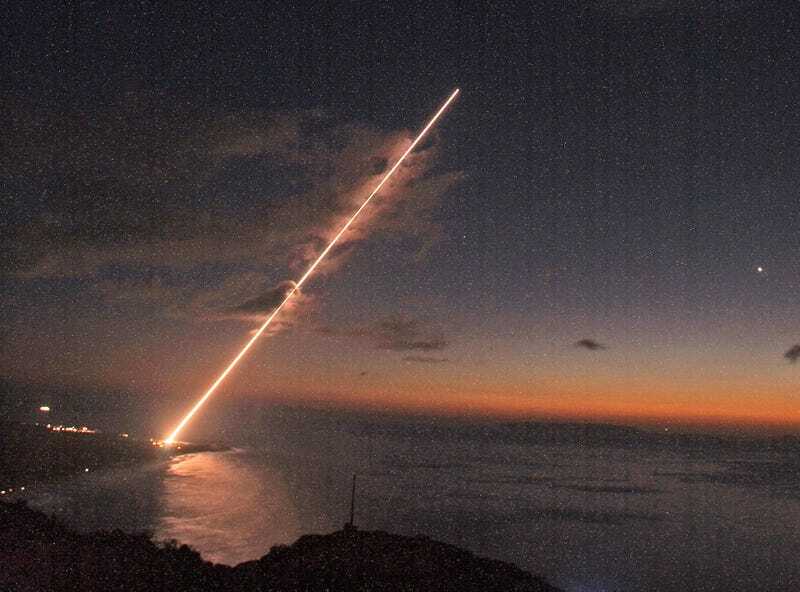 The deployment of these systems falls under the Missile Defense Agency's jursidiction, though the THAAD is also employed by the Navy's Aegis Ballistic Missile Defense System as a land-based supplement to on-board defensive weapons.